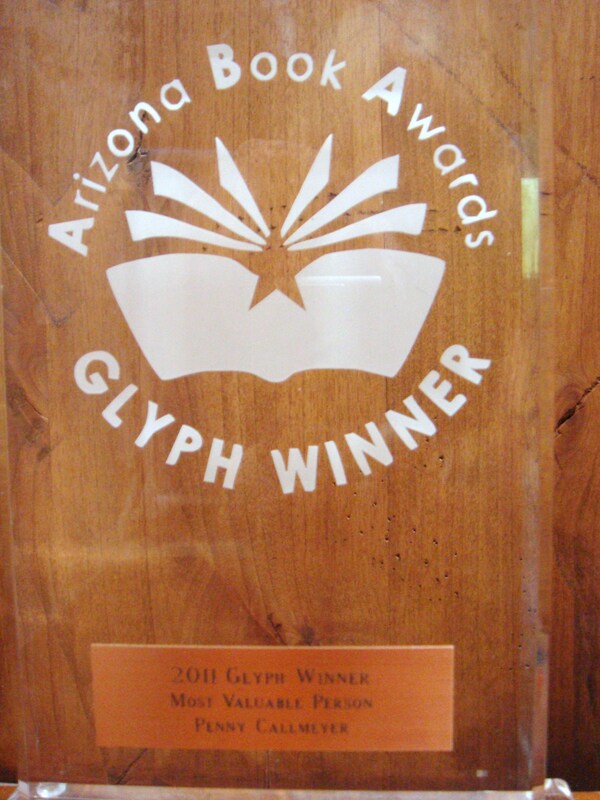 Congratulations to the 2011 Glyph Award Winners! On Saturday, May 7th, 2011 the Arizona Book Publishers Association had their annual gala event at the Phoenix Country Club to present the 2011 Glyph Awards. I was very honored to receive the Most Valuable Person Award! For a complete list of winners follow the link above. Congrats to everyone, including the committee and volunteers that helped make this a smashing event!